On Thanksgiving Day, families get together and enjoy a big dinner. The Thanksgiving 2015 will approach on November 26, and it will be a short holiday for traveling. During the Thanksgiving holiday, people will give thanks to the Almighty, to families and friends. Even if the friends are too far away to meet, they will send messages or emails to each other for gratitude. Thanksgiving messages can be easy as Happy Thanksgiving, or complicated as a long sentence, and the key point is to express your sincere feelings. If you are writing to a friend, you can use some warm words, and the grateful sentence you want to say. If you are writing to your lover, the romantic words are and the sentence full of love will be great. The following post shows you several thanksgiving messages as examples. It’s time to celebrate our friendship and cherish the memories that we’ve shared with happiness and cheer. Wishing you the joys of Thanksgiving. This Thanksgiving, I wish that god showers you and your family with peace, love, warmth, and joy. Have a joyous Thanksgving. I am the luckiest person on earth because I have someone as caring and loving as you by my side. Happy Thanksgiving with love. To the world you are just one person but to me you are the world. I thank the lord for blessing me with someone as wonderful as you. Happy Thanksgiving. The moment you held my hand you owned my heart. Thanks for loving me. Happy Thanksgiving. Thanksgiving messages are not as popular the cards, but people will still keep these messages as precious memories in their smartphones. If you’re an iPhone user, a Thanksgiving message of a friend is saved in a conversation thread between you and him/her. When we delete iPhone data free up storage space, we may delete the Thanksgiving messages by accident. At this moment, we’ll need to find a way to recover deleted Thanksgiving messages from iPhone. If you have updated your iPhone backup with iTunes or iCloud, you can restore iPhone with iTunes or iCloud to get the deleted Thanksgiving messages back. 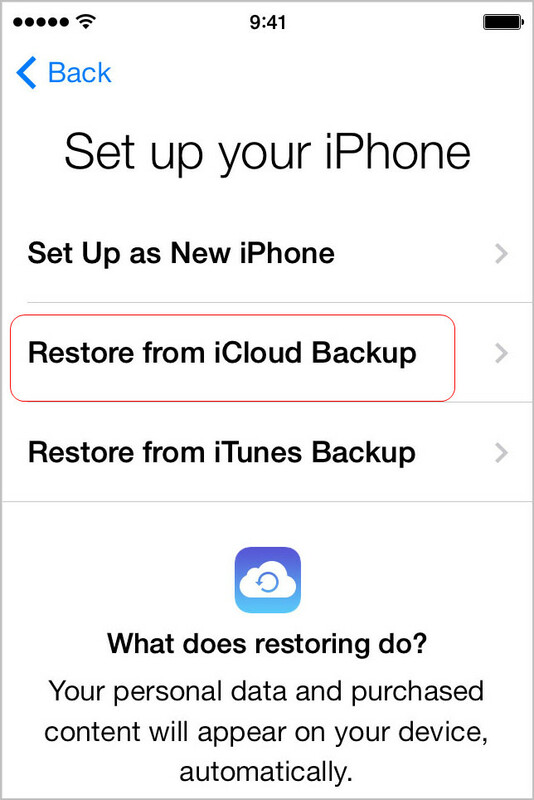 You may have been very familiar with restoring iPhone with iTunes, but they may feel confused when it comes to restoring iPhone with iCloud backup. The following tutorial will show you how to do that. 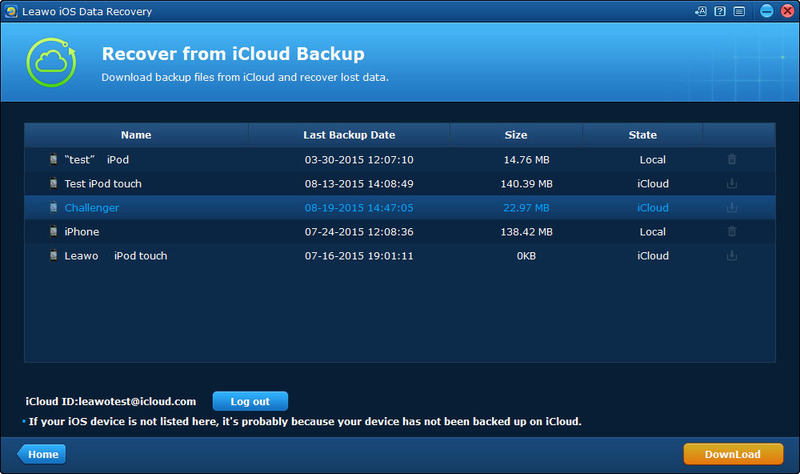 iCloud will replace your iPhone data with the contents in your iCloud backup after it restored your iPhone. You will get the deleted messages back on your iPhone, and you may also find out that the newly added data are erased during the restoring process. Therefore, if you don’t want to use iTunes or iCloud to restore iPhone, you can take advantage of the iPhone data recovery software to retrieve deleted Thanksgiving messages from iPhone. Among all the iPhone data recovery programs, Leawo iOS Data Recovery is one of the best. 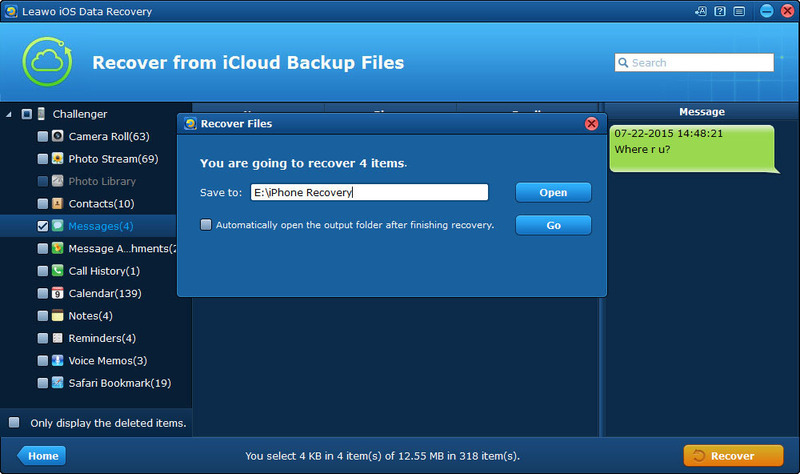 This software is used for recovering deleted files from iOS devices, extracting data from iTunes and iCloud backups. The following guidance will show you how to retrieve deleted Thanksgiving messages from iPhone, and you can free download the software to have a try. Step 2. Connect iPhone to computer with USB cable, and click the Start button. Step 3. 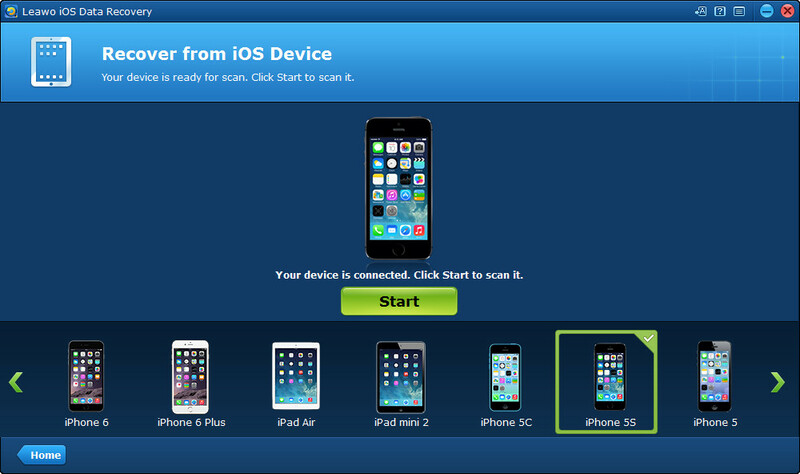 The software will scan your iPhone. 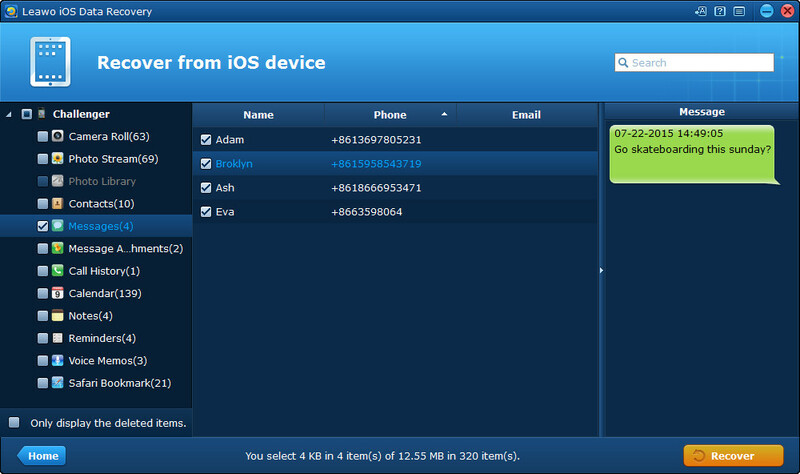 Check Messages after the scan, and select the messages you need. Then click Recover. Step 4. Click Open in the pop-up dialog to choose a target folder on computer to save the messages. 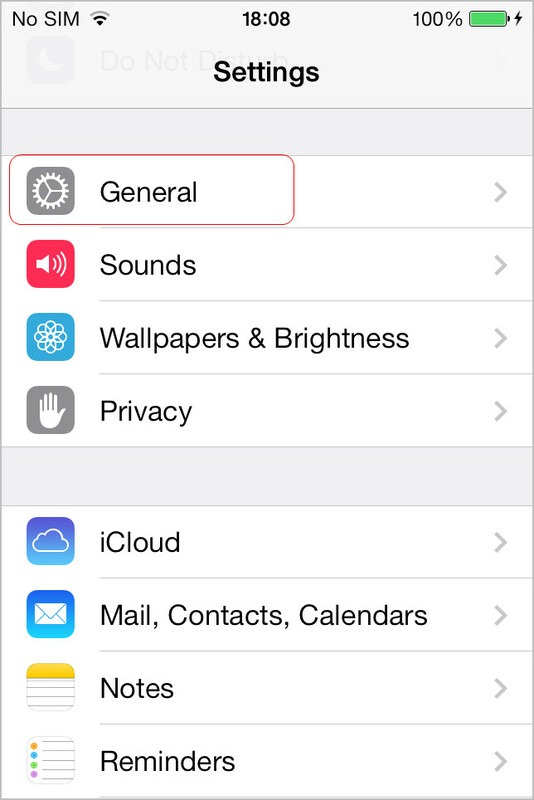 Then click Go to start retrieving deleted Thanksgiving messages from iPhone. When the recovery process is finished, you’ll get the messages in the target folder. The messages are saved in a CSV file and an HTML file, and they can be viewed on computer with no efforts. 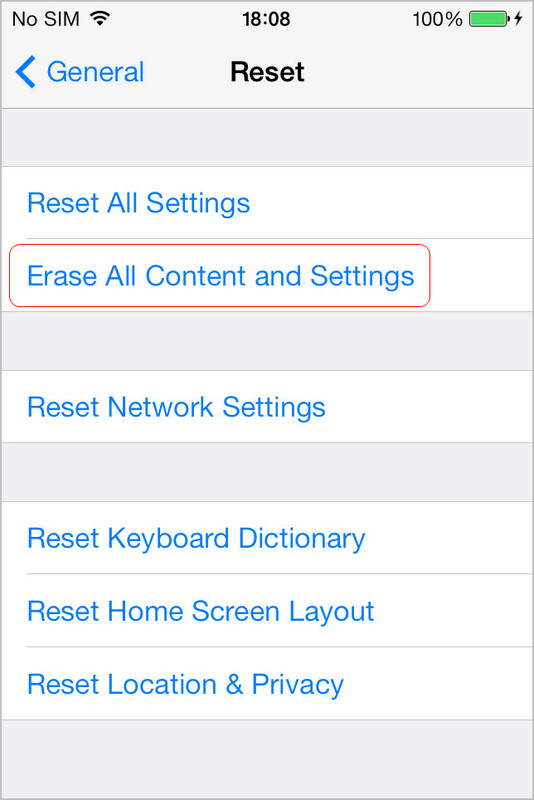 If you can’t find the deleted Thanksgiving messages in your iPhone, you can take advantage of Leawo iOS Data Recovery to retrieve deleted Thanksgiving messages from iPhone backup. The following guidance will show you how to retrieve deleted Thanksgiving messages from iPhone backup. Step 1. 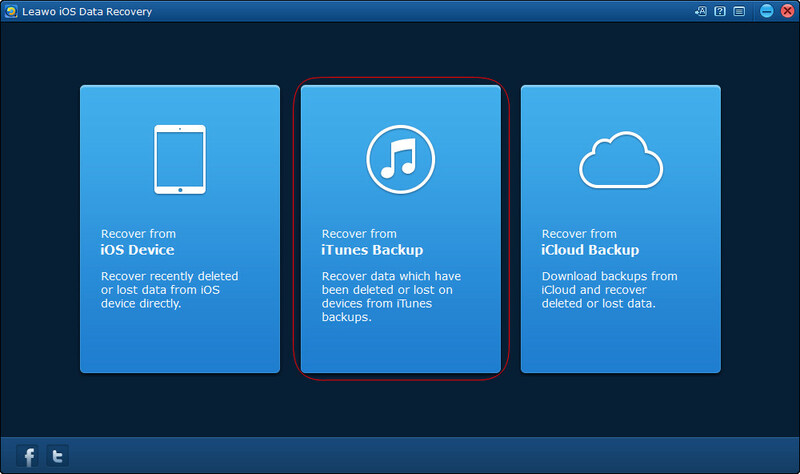 Run Leawo iOS Data Recovery and choose Recover from iTunes Backup. Step 2. Select the iPhone backup and click Scan at the right bottom. Step 3. The software will scan your iPhone backup. Check Messages after the scan, and select the messages you need. Then click Recover. Step 4. Click Open in the pop-up dialog to choose a target folder. 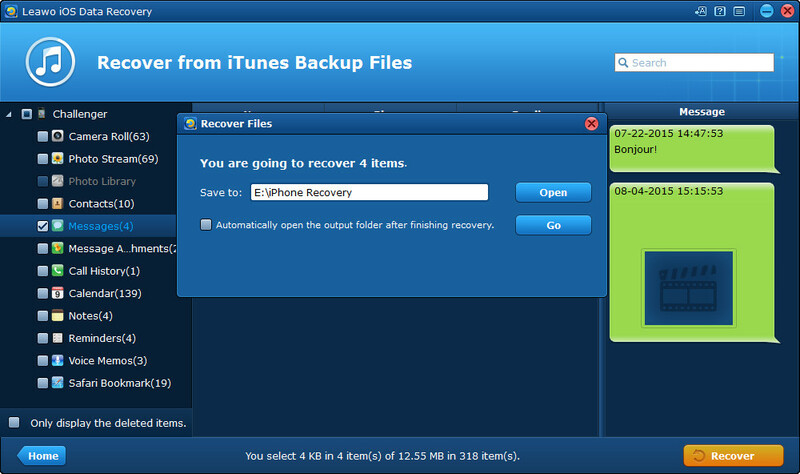 Then click Go to start retrieving deleted Thanksgiving messages from iPhone backup. Step 1. 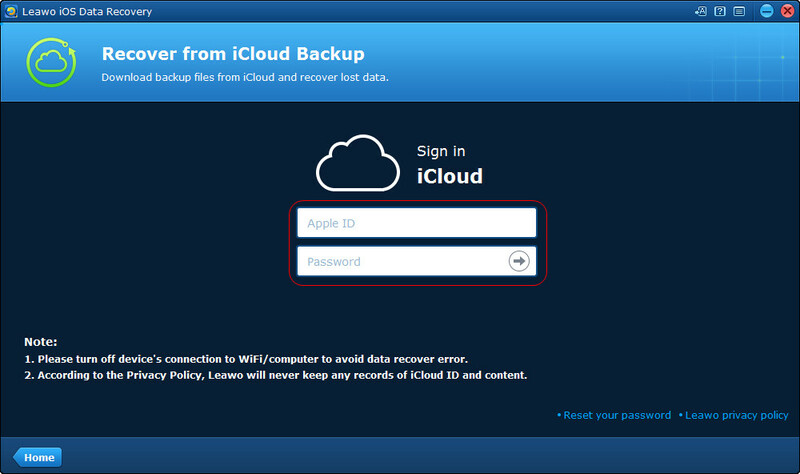 Run Leawo iOS Data Recovery and choose Recover from iCloud Backup. Step 2. 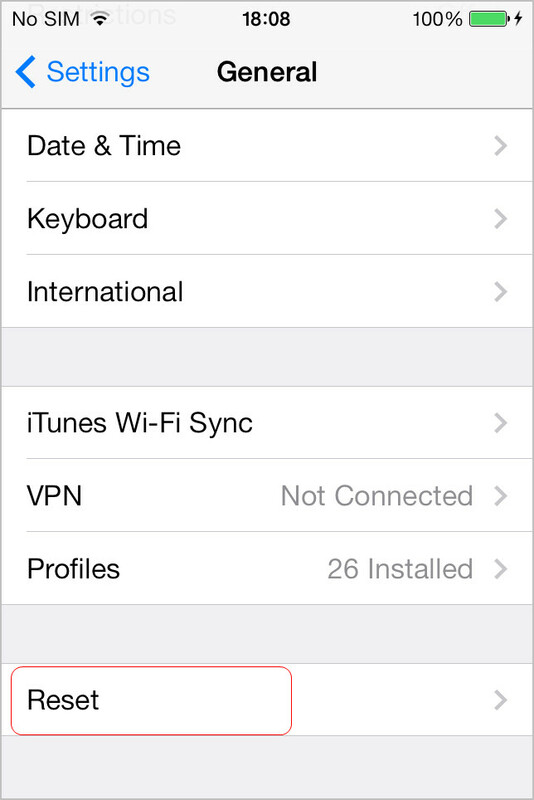 Log in iCloud with your Apple ID. 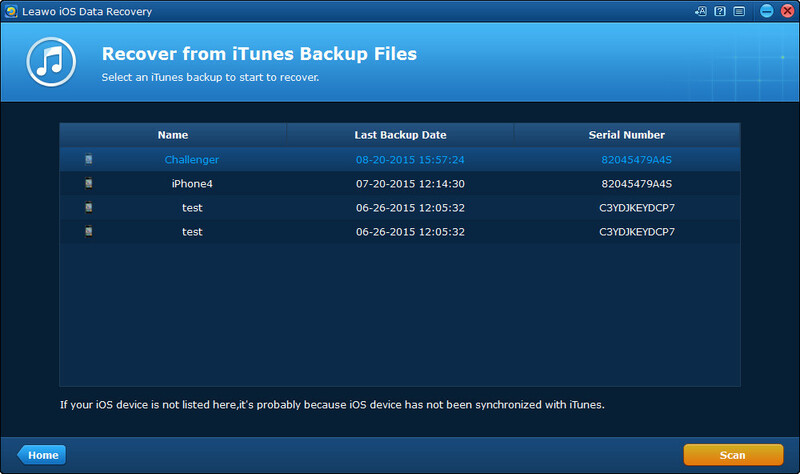 Note that the Apple ID should be the one you update your iPhone backup with. Step 3. 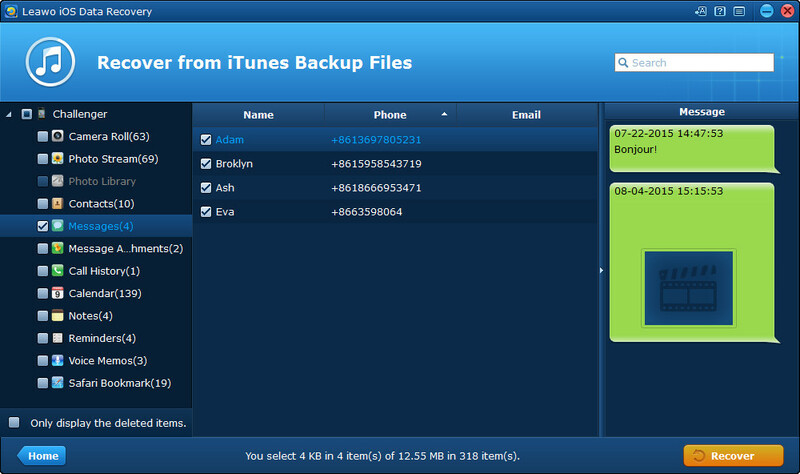 Select the iPhone backup and click Download. The software will download the iPhone backup to computer. Step 4. The software will scan your iPhone backup. After the scan, check Messages and select the Thanksgiving messages you need. Then click Recover. Step 5. Click Open in the pop-up dialog to choose a target folder. 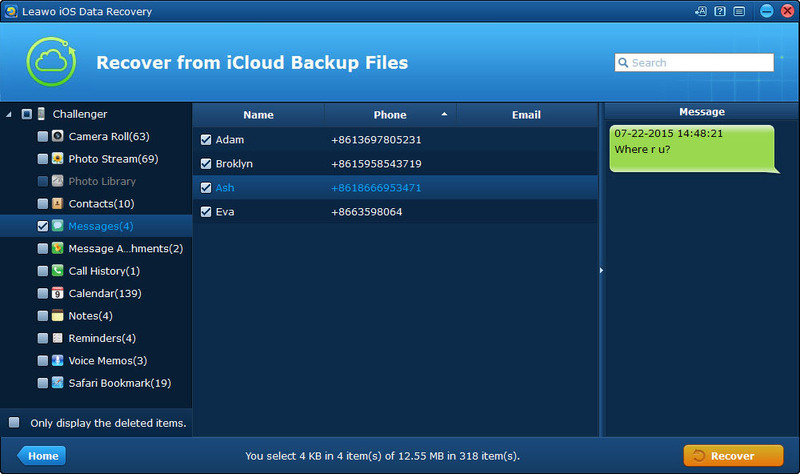 Then click Go to start retrieving deleted messages from iCloud backup. Leawo iOS Data Recovery will bring much convenience to people’s daily life, and it enables users to avoid messing up iPhone data with the whole iTunes or iCloud backup. 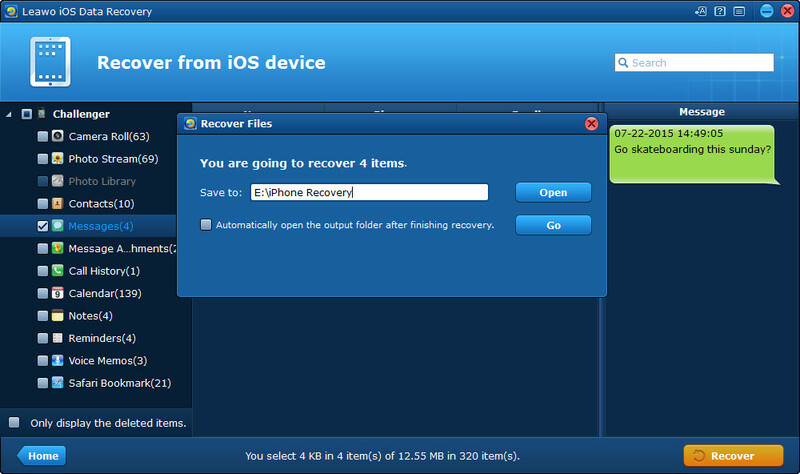 If you only want to retrieve deleted Thanksgiving messages from iPhone, Leawo iOS Data Recovery can be your best choice. Leawo iOS Data Recovery is also helpful for other kinds of data recoveries, for example, you can recover deleted contacts from iPhone with this software.